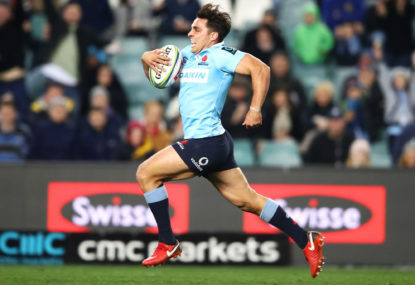 Match result: The NSW Waratahs let slip the chance to take a Round 1 win over the Hurricanes after a 74th-minute try from debutant Du’Plessis Kirifi and conversion from Jordie Barrett saw the ‘Canes sneak ahead by a single point late in the match. England hosts the Wallabies Saturday night at Twickenham, London. Join The Roar for live scores and a blog of the match, starting from 2am AEDT. 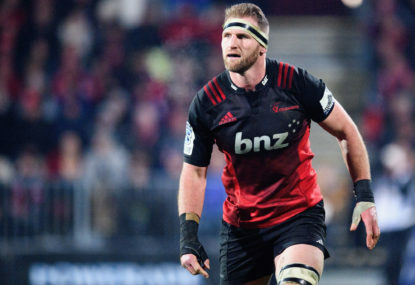 Match result: The Crusaders have won their ninth Super Rugby title in dominant fashion, defeating the Lions 37-18 at home in Christchurch. The Lions host the Waratahs on Saturday night at Ellis Park, Johannesburg. Join The Roar for live scores and a blog of the match, starting from 11:05pm (AEST). 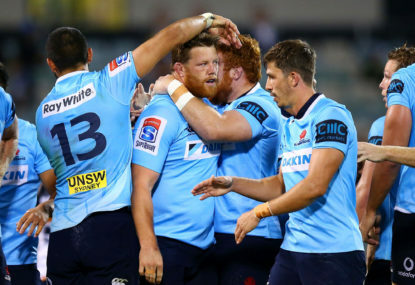 Match result: NSW Waratahs captain Bernard Foley has spearheaded a remarkable comeback as his side overturned a 17-point halftime deficit and beat the Highlanders 30-23 in their Super Rugby quarter-final. Match result: The Brumbies may not have made it into the Super Rugby finals series, but finished off their season on a good note with a nine-point win over the Waratahs. 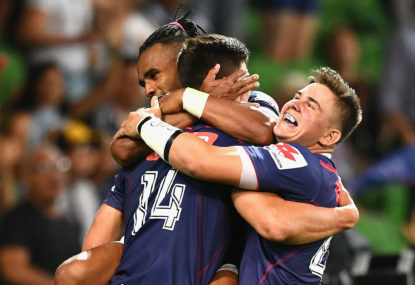 Match result: The Brumbies’ Super Rugby finals hopes remain alive after an upset 24-12 victory over the Hurricanes – their first win against a New Zealand team since 2016. 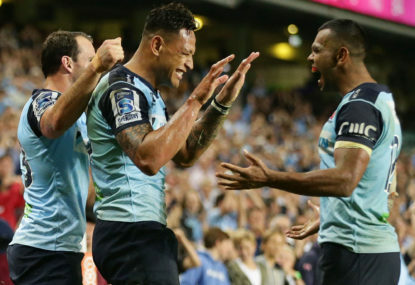 Match result: Bernard Foley pulled the strings and Israel Folau scored twice for the NSW Waratahs in a record 52-41 defeat of Queensland featuring 15 tries. 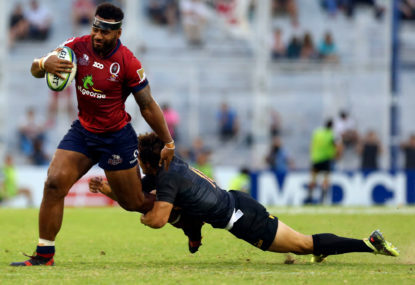 Match result: Queensland have fallen just short of notching another Australian win over New Zealand, copping a three-point loss to the Highlanders on Saturday night. 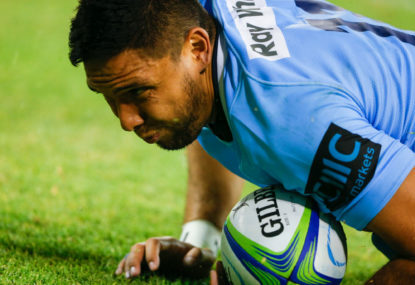 Match result: The Waratahs have finally broken Australia’s longstanding streak of losses to New Zealand sides, smashing the Highlanders by 29 points. 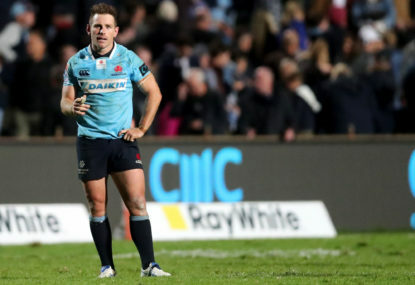 Match result: The NSW Waratahs are crying foul after giving up the biggest lead in Super Rugby history in a heartbreaking 31-29 loss to the mighty Crusaders. Match Result: Australia’s super rugby rut against New Zealand teams continues, with the Blues beating the Waratahs away from home by three points at Brookvale. 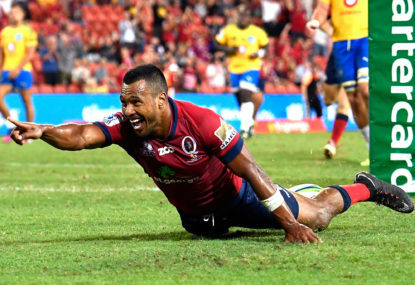 Match result: The Queensland Reds have snapped a four-game losing streak, hanging on after a fast start to beat South Africa’s Lions 27-22 in Brisbane. 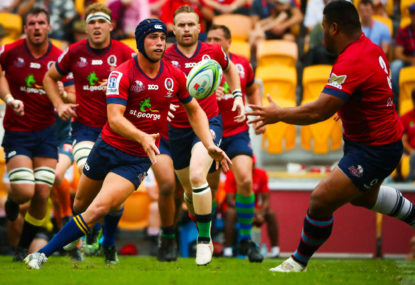 For the majority of this decade now, the Red in Queensland Reds stands for ugly losses. The Bulls hosts the Rebels at Loftus Versfeld. Join The Roar for live scores and a blog of the match from 11:05pm (AEST). 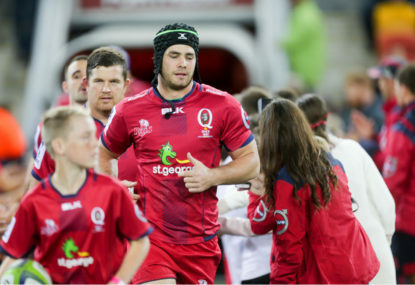 The Waratahs host the Reds Saturday night at the Sydney Cricket Ground. Join The Roar for live scores and a blog of the match, starting from 7:45pm AEST. 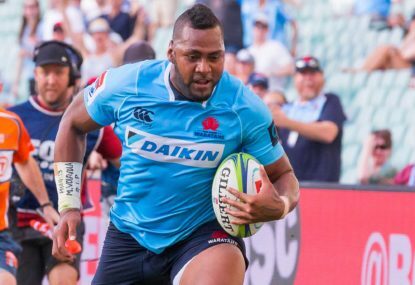 Match result: The Waratahs have added another win to their ledger on Saturday, defeating the Sunwolves by 21 points. 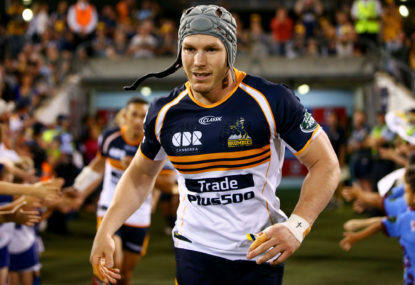 The Brumbies host the Waratahs Saturday at GIO Stadium, in Canberra. Join The Roar for live scores and a blog of the match, starting from 7:45pm AEDT. The Stormers host the Reds Sunday morning at DHL Newlands Park, in Cate Town. Join The Roar for live scores and a blog of the match, starting from 2:15am AEDT. 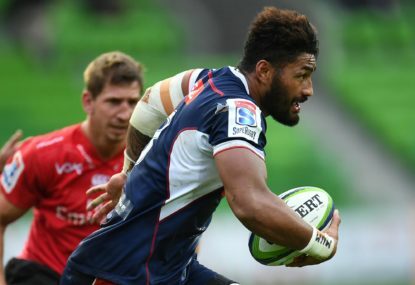 The Melbourne Rebels hosts the Brumbies at AAMI Park. Join The Roar for live scores and a blog of the match from 7:45pm (AEDT). Thanks GP! 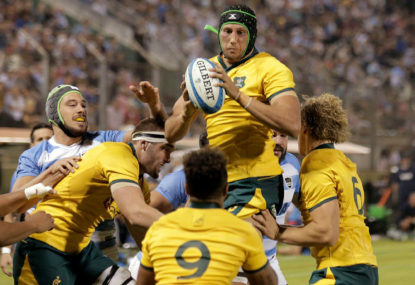 This week’s Rugby news is all about Aussie! Aussie! Aussie! – Maybe he does. And believes it’s his obligation to “save” others. The rest is now is a legal process. Irrespective of the outcome his privilege is diminished if not altogether gone. I think at least around a couple of billion people believe in that tripe. Hi Paul. Good pointers thanks. This could all have been avoided. Yes. My comment deserved to be torpedoed. Many people are kicking themselves over the kicking. 1st step in fixing problems is admitting your weaknesses and mistakes! But then if we did that, then the ROAR would boriiinnnnggg!! Rugby administrators are general the most terrible merketers. Especially considering people in the world are increasingly cutting their pay TV cables. Rebs are not offloading. But winning games! Dont agree, but keep on posting! He can scrum cant he? No arguments from me maaaaaaaate! 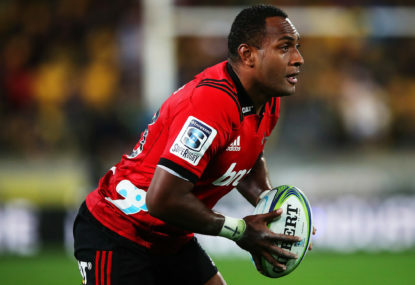 Too many inconsistent Coopers in Rugby! 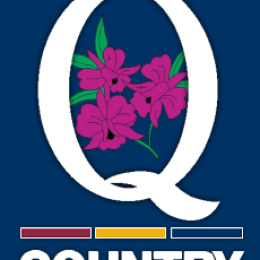 My prediction is that a Queenslander will reach the finals! Three is a crowd. But four is heaven!